From 16th to 18th May 2017, the SmartEnCity Lighthouse Cities Sonderborg and Tartu were part of a European Delegation of Smart Cities, invited by the Delegation of the European Union (EU) in Brazil. They participated in the Congreso Internacional Municipalista (international Municipal Congress) in Brasilia and shared their experiences as smart cities with mayors from all over Brazil. The Congreso Internacional Municipalista is an event for Brazilian cities, focusing on current topics of interest and developments in cities. With the delegation, the EU wanted European Lighthouse Cities to have a presence in the event, to share their experiences, explore a mentoring role and to get in touch with Brazilian municipal stakeholders. The two Lighthouse Cites were represented by Iben Nielsen (Sønderborg Forsyning), local coordinator of the SmartEnCity activities in Sonderborg, and Alar Võrk, CEO of Cityntel, a Tartu start-up company developing new IoT solutions for Smart Cities, which is also part of the SmartEnCity consortium. They formed part of the European delegation, consisting of 5 European lighthouse cities, and were also represented at the European pavilion. The invited European cities discussed topics of interest with municipal administrations from Brazil. In the EU Pavilion, a daily programme with panels, round tables, debates and presentations of models of European smart cities took place. Apart from SmartEnCity’s Sonderborg (Denmark) and Tartu (Estonia), cities such as Almada (Portugal), Milan (Italy) and Seraing (Belgium) were represented. They exchanged with mayors from Brazilian cities and informed them about their activities and experiences in the Lighthouse Cities. In the frame of two round tables, the topics “How does the development of smart cities help to improve the quality of life and save public funds?” and “How to finance projects and innovations of smart cities? Financing Models and Financing Mechanisms” were discussed. Iben Nielsen from Sonderborg gave presentations on the topics “Accelerating Climate Action Through Local and Global Strategies” and “The Role of Municipalities and Associations for the Localization of SDGs”. 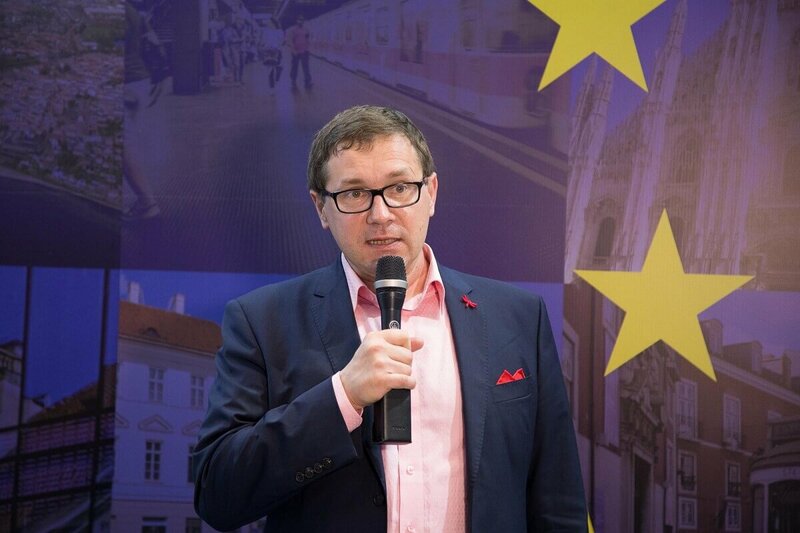 Alar Võrk from Tartu presented the topic “Financing infrastructure renewal through energy saving measures” and he also participated in the Round Table discussion “How to Finance Smart City Projects and Innovation? Financing Models and Funding Mechanisms”. The stand attracted a lot of attention; several hundred visitors stopped at the stand during the two days and learned about the smart city solutions. “Municipalities should always be concerned to improve the quality of services provided to citizens. The European Union’s dialogue with Brazilian cities is an exchange of experiences and makes municipalities develop a vision for the future and become more efficient, sustainable, supportive and facilitating people’s lives. Participating in the congress is an opportunity to take the example of smart European cities to the Brazilian municipalities with the aim of improving the quality of life of the population,” emphasized Michel Mouchiroud of the Delegation of the European Union in Brazil. The European Union’s ambassador to Brazil, João Gomes Cravinho, participated in the opening of the International Municipal Congress and also launched the International Urban Cooperation Project for Latin America – an EU initiative to strengthen exchange between Latin American and European cities, as well as obtain mayors’ support for the pact against climate change. Representatives of the European Union, mayors, municipal managers and municipal agents from all over Brazil participated in the 20###sup/sup### edition of the congress, taking place at the International Convention Centre of Brazil in Brasilia. On the agenda were pension and labour reforms, the water crisis, social security, solid waste, basic sanitation and urban mobility, among others. Promoted by the National Confederation of Municipalities, its objective is to fight for the interests of the services rendered to the Brazilian citizens.